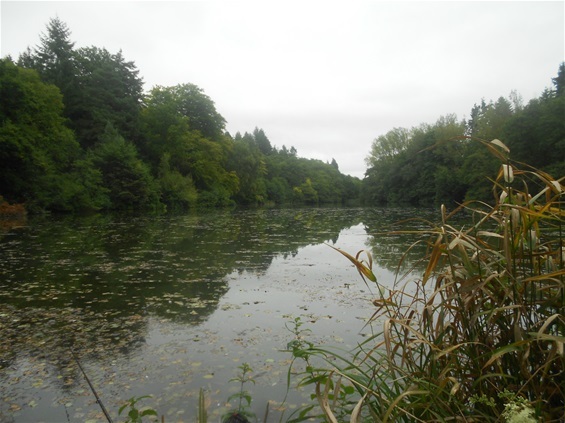 Last Saturday (September 23, 2017), I was fortunate to fish The Seggy Pool on the Dudmaston estate in Shropshire, and for much of the day I was followed, so it seemed, by the wraith of BB, if only because the late author and his works were never very far from my mind. It is most unlikely that BB ever got to fish The Seggy Pool and, had he done so, he would have caught tench in those days, not carp. 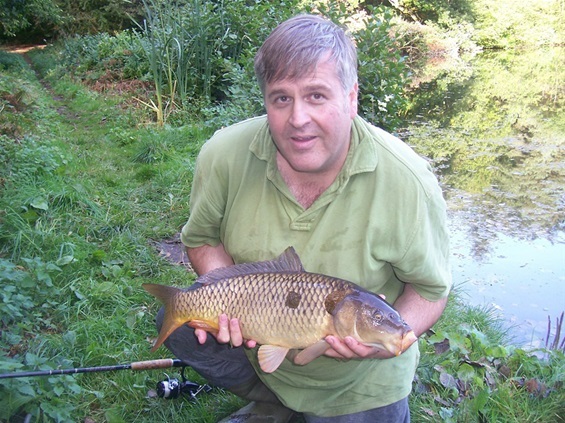 When, back in the 1990s, I was a committee member of the club that controls the pool, it was a tench paradise. 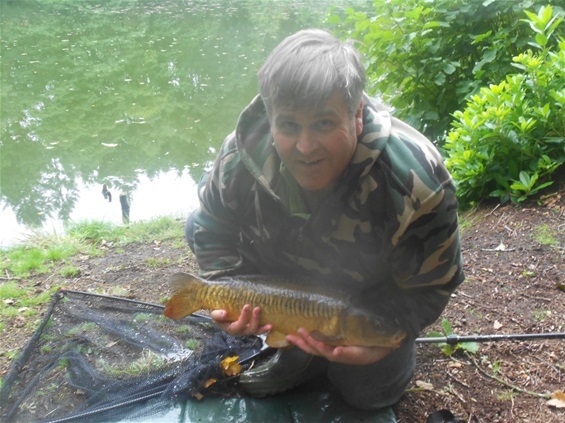 The tench were never large, it's true; but they were obliging. My best tench from there went 4lb 9oz, but that was very much the exception. Now it's a carp pool: but not through design. There's an off-bounds heron sanctuary just above it, you see, and the two pools connect. I suspect that eggs or fry washed in from the sanctuary at some point; and these days, at The Seggy, the tench play second fiddle to their larger cyprinid cousins. But what has all this to do with BB's spectre? It is just that I was reminded of him, and that lovely chapter from Confessions "The Last Day of the Season" in particular, while we strolled to the pool. 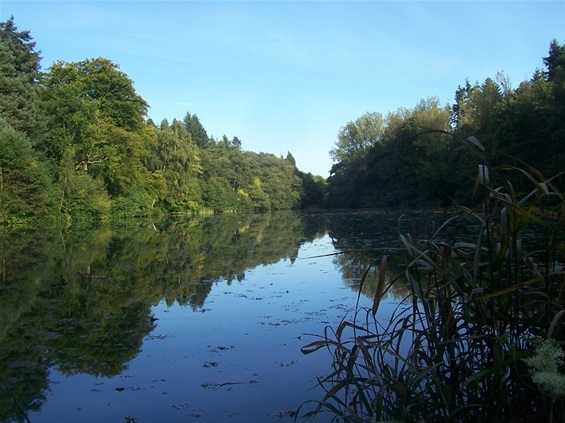 I was fishing there as a guest of my brother David, who is a member of The Kinver Freeliners, which controls the fishing. To reach the pool, we had to walk through a mature forest, on paths with numerous twists and turns, which reminded me of BB's description of a walk to another country pool..."To reach it we threaded a pleasant wild woodland where blackthorn and teazel flourished and jays scolded..."
I walked that way to The Seggy many times in my twenties and thirties; but I must confess I had largely forgotten the route. And would BB have enjoyed fishing there? He would have loved it! The club says the pool is around four acres in extent, but I think it's a little less than that - about three. It reminds me, very much, of Redmire - except The Seggy is surrounded by more trees. The carp run to around 15lbs. We caught five in total, to just under double figures, with David landing the largest. It's a shallow pool, ideal for float fishing or the sight-bob, and the three I caught all fell to the sight-bob. I was dropping the bait through holes in the floating leaves, right in the margins, then walking back, paying out line, then waiting - which all in all was rather exciting fishing, of course. 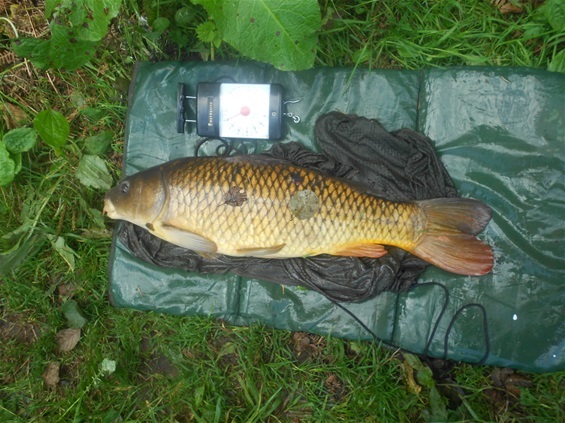 Of the five carp we caught - ( I managed a small tench too, by the way) - four had the lean looks and the dorsal shapes of old English commons - that little straight line from the main front ray before the slope to the main sweep of the dorsal. And the mirror I caught was a pure linear - which is an interesting fact in itself. It was, all told, a day of pure carp fishing in perfect surroundings for the traditional angler, and I can't wait to get back, to try my mettle again against those fine, rather special estate lake carp. Small but perfectly formed - the linear mirror, not me! Dave's quarter of a century old Daiwa Avon, and his venerable "red" Cardinal reel, together take the strain. Best fish of the day, caught by my brother, Dave: not quite a double, but a stunning autumn fish all the same. Last fish of the day - a glorious "old English" common, caught through a raft of floating leaves, using the sight-bob technique. Seggy Pool - the view from the dam. It reminds me of Redmire, in terms of size, shape and charm. It was a wonderful day, Dave, and many thanks for the guest ticket. I agree that these sort of pools are a rarity these days, and that makes them special. 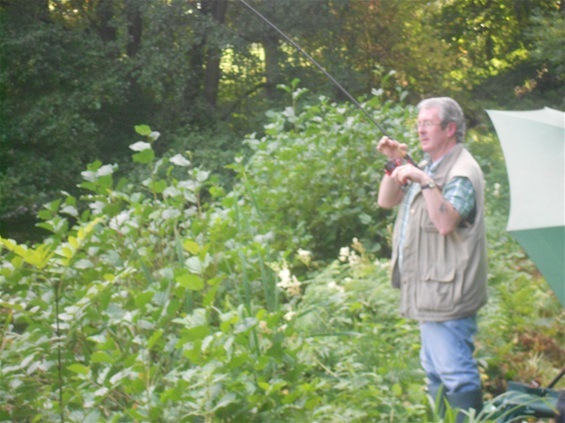 Lovely write up of a very pleasant days fishing.